But around here, it’s just the way your dinner is being prepared. 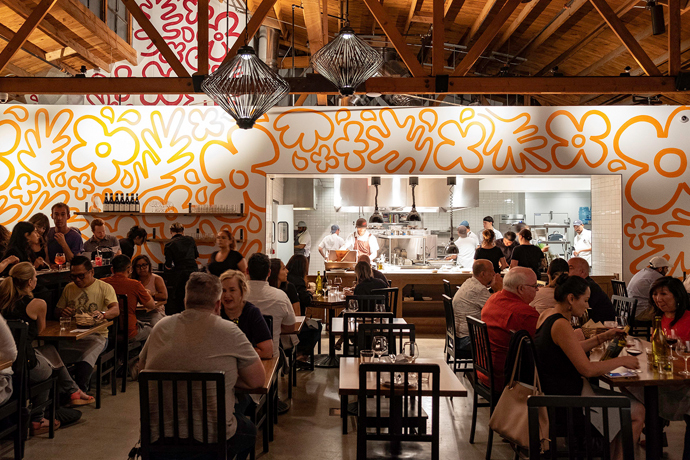 At Officine Brera, a 1920s warehouse that’s been converted into the Arts District’s next important Italian place. It’s from the fine Factory Kitchen people, and it’s now taking reservations for a February 5 opening. First thing you’ll want to do is check out this slideshow. Nice, right? 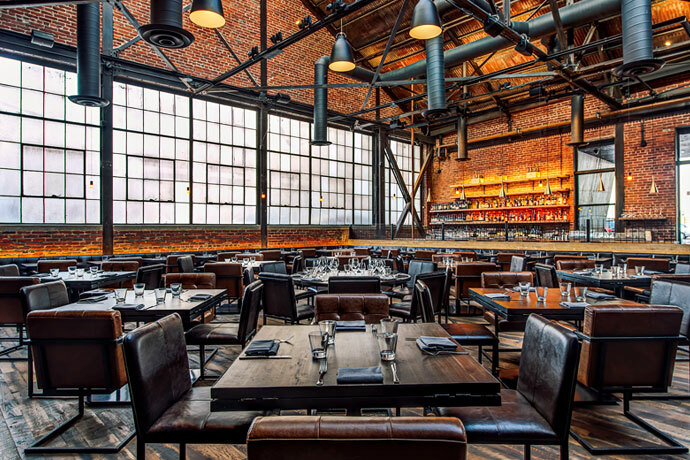 Just a really beautiful-looking, red-brick-lined dinner destination of mixed industrial materials, factory-style windows and soaring ceilings set off by skylights. The kind of place where you’ll go one-on-one with someone you have things in common with. Like a daily habit of sustaining existence through food. Get a table where you can watch all those logs being used for your dinner through the glassed-in kitchen. They’ll be used in the grill and the oven and the rotisserie. They’ll be used everywhere, and you’ll be a better person for it. Importance is open to interpretation in this scenario.